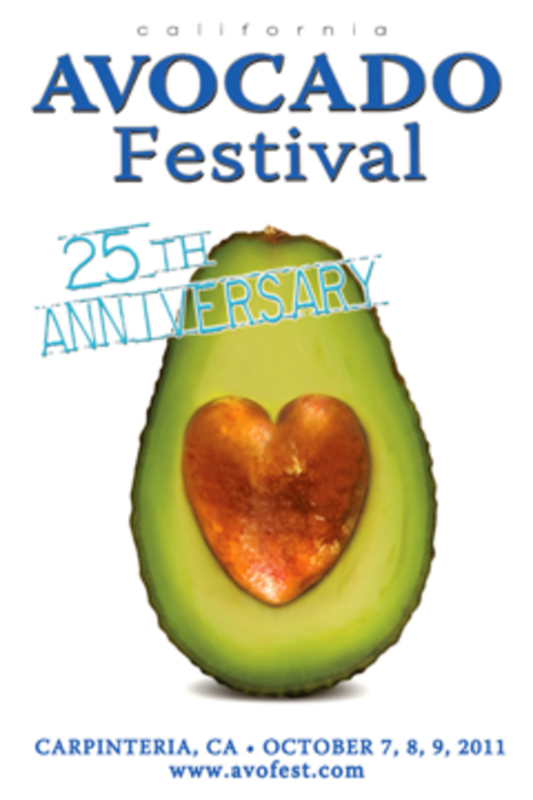 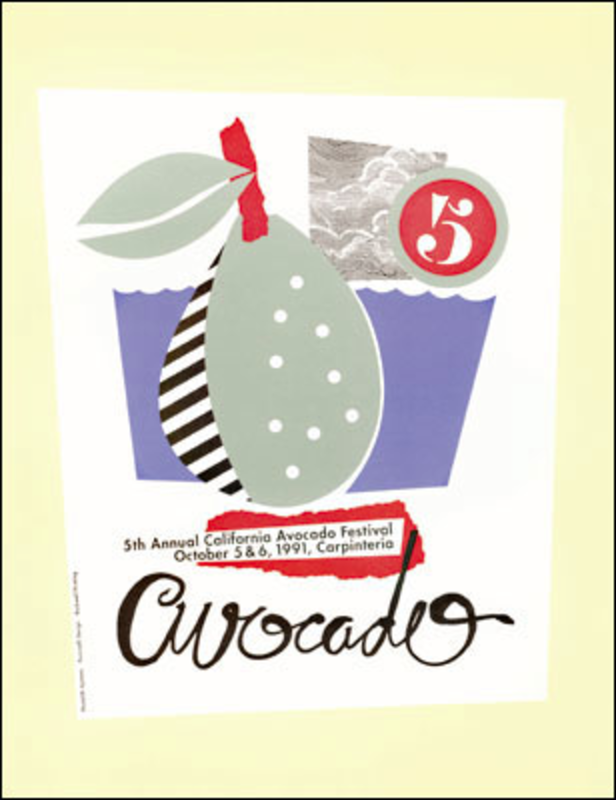 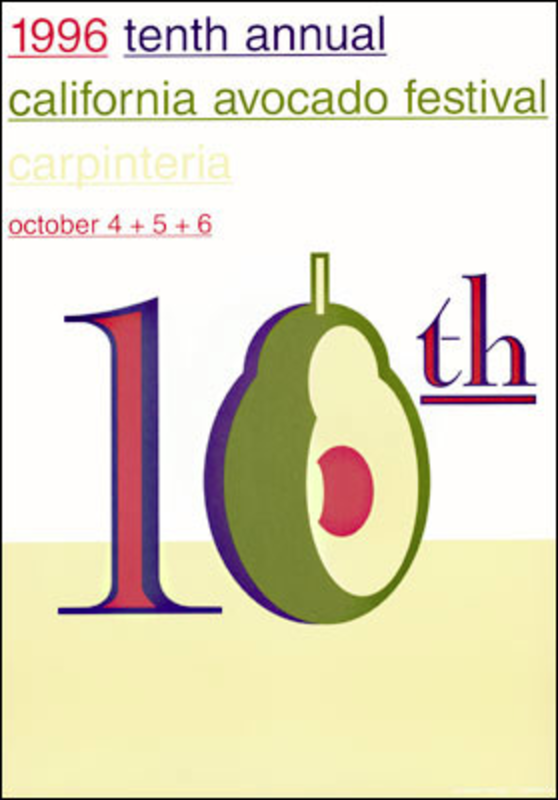 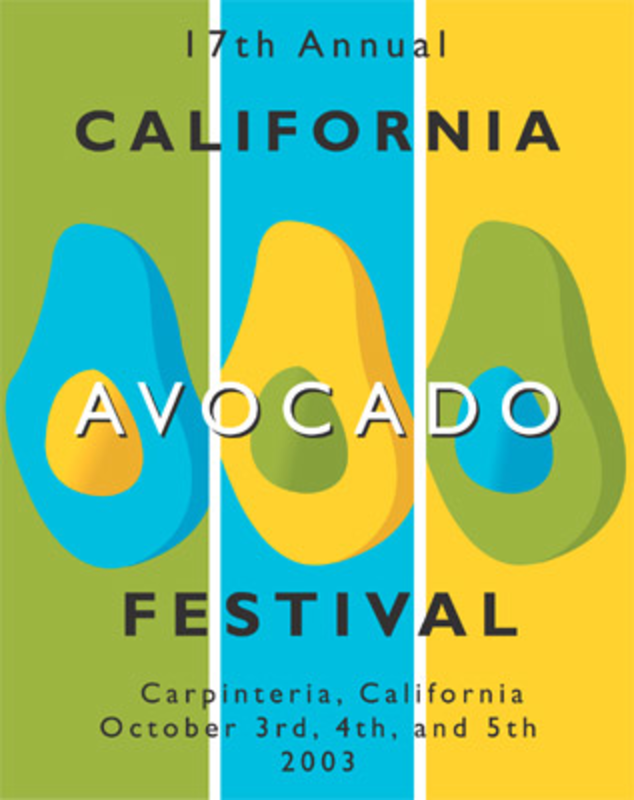 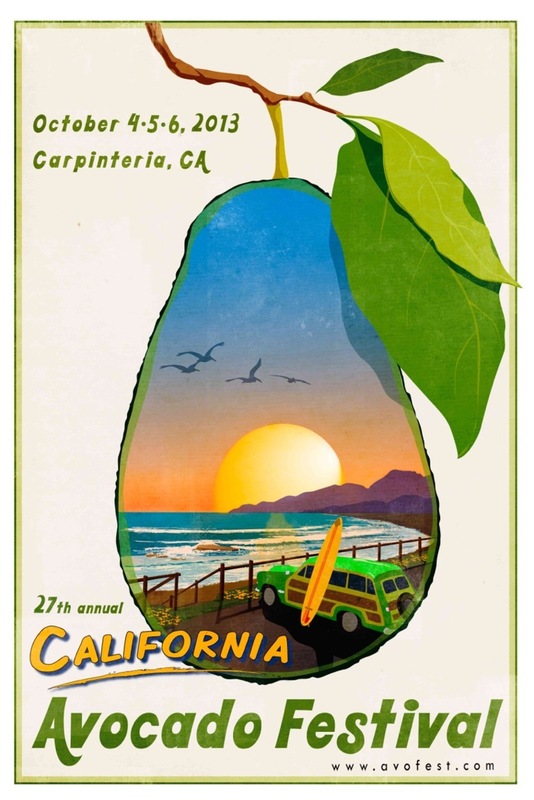 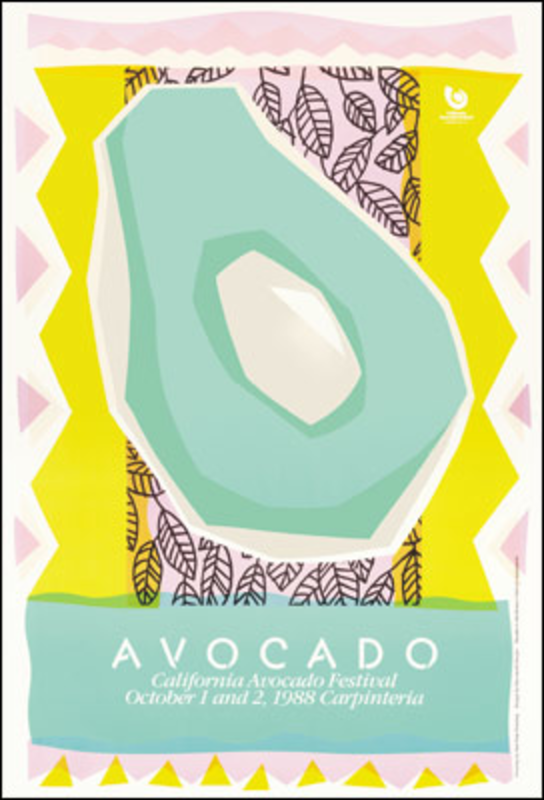 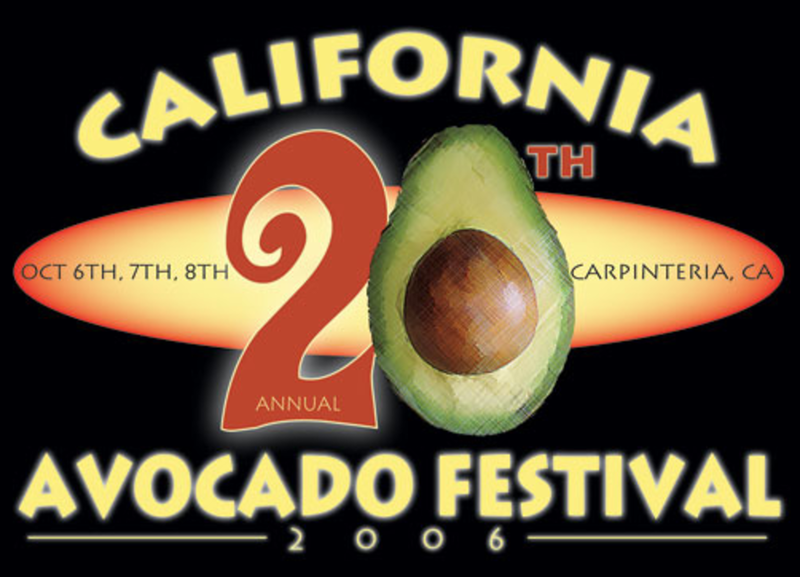 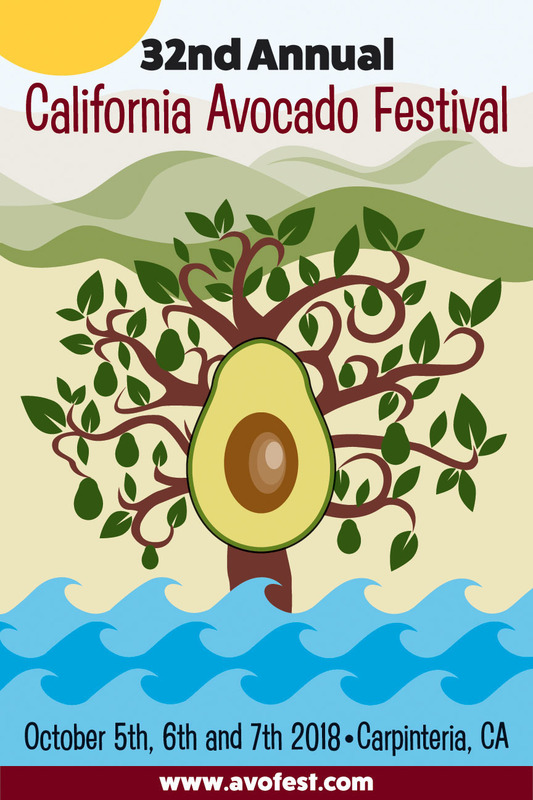 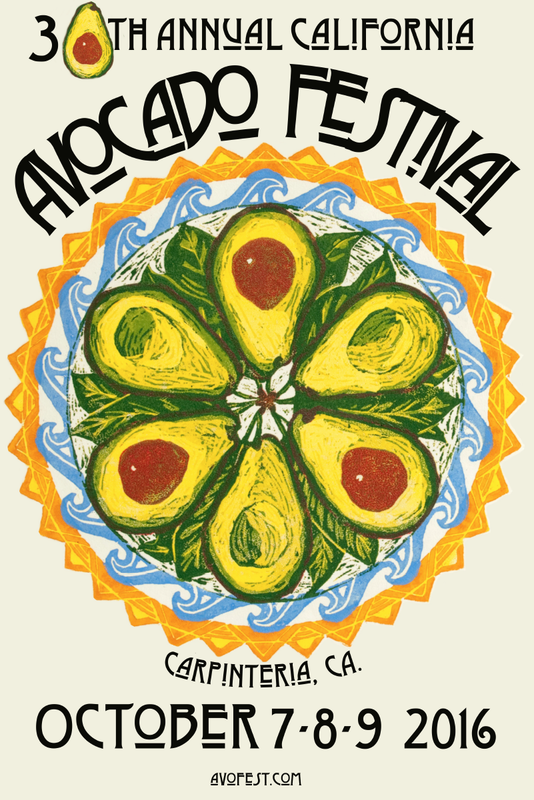 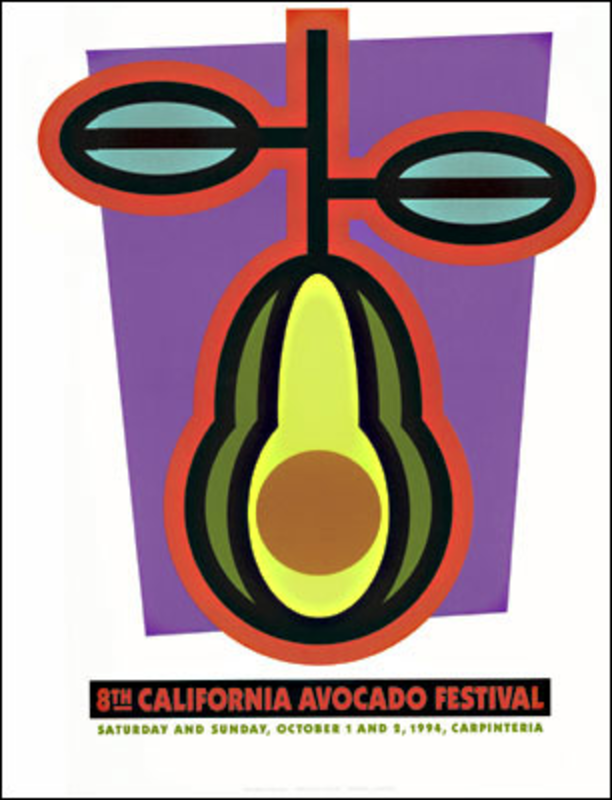 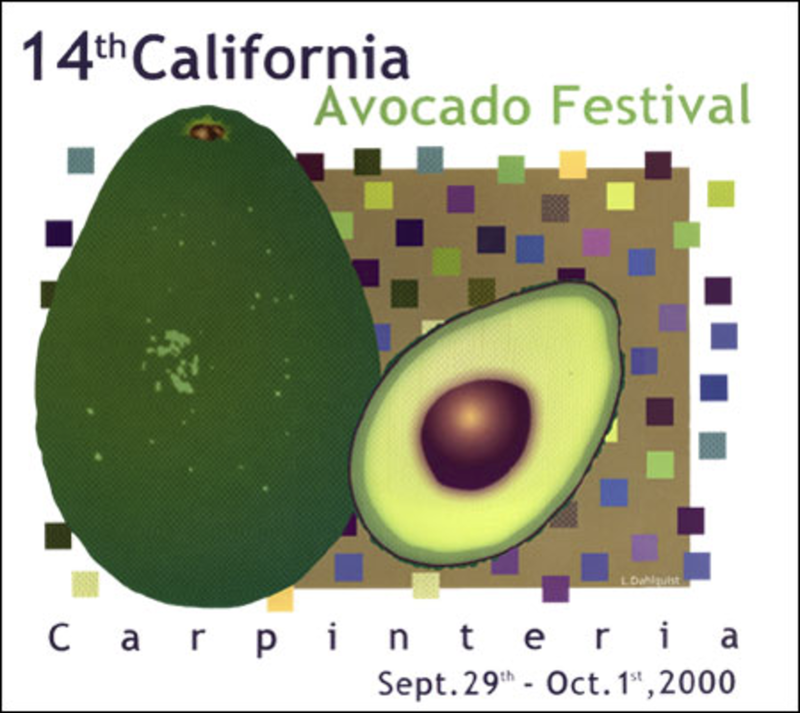 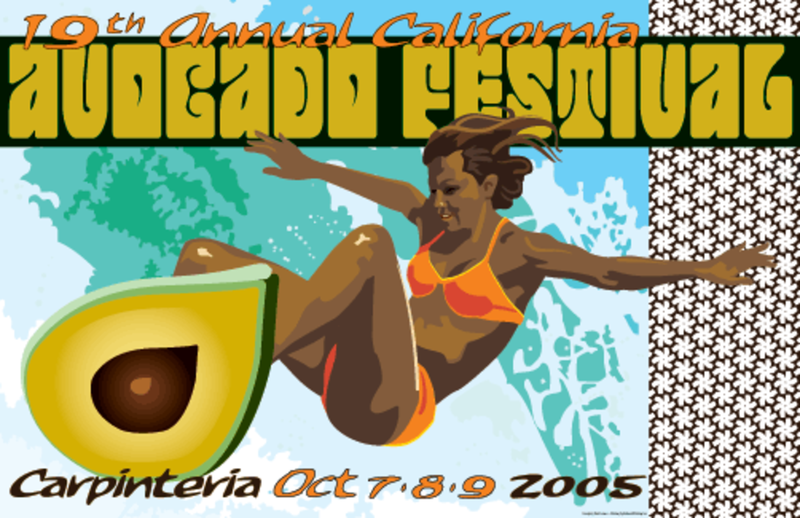 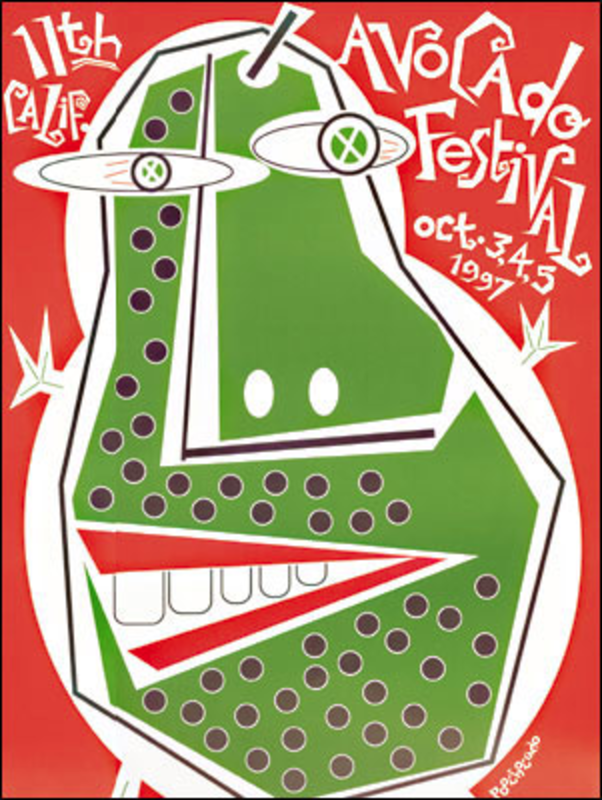 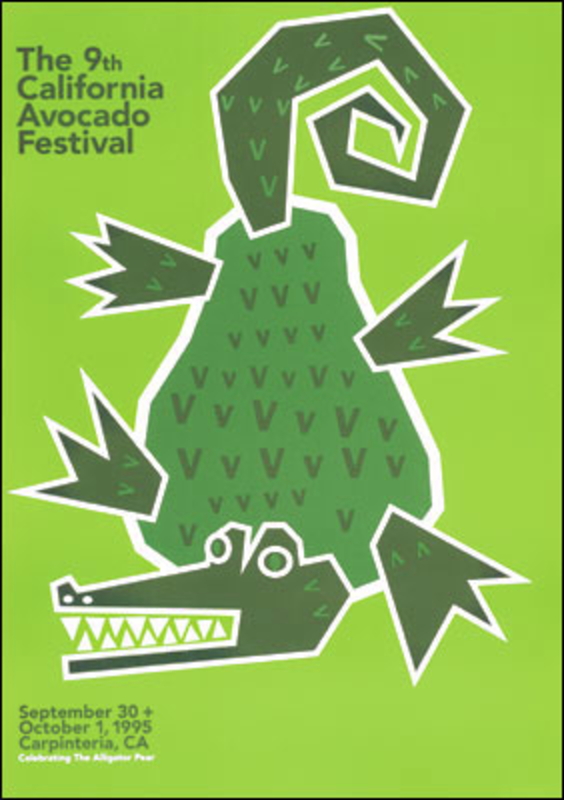 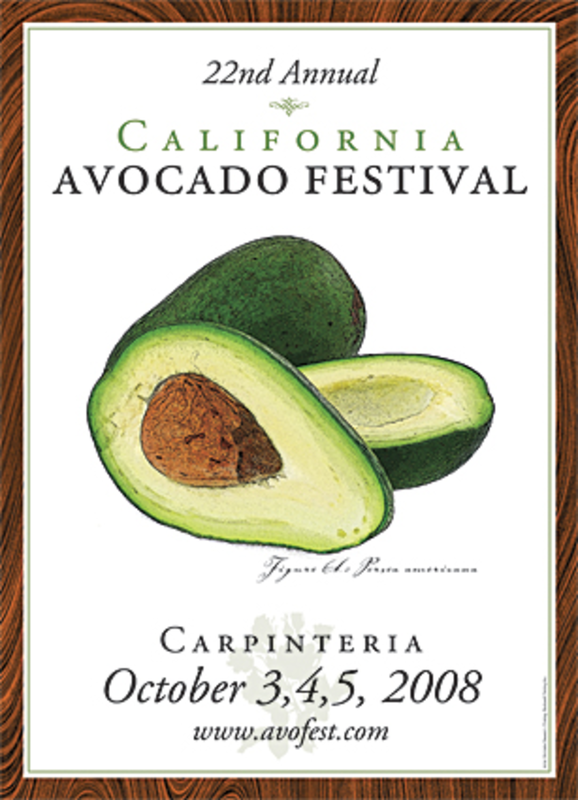 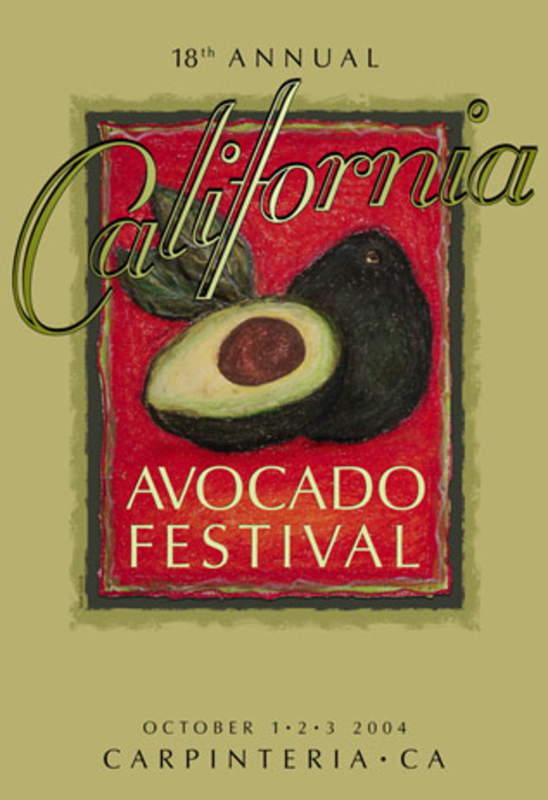 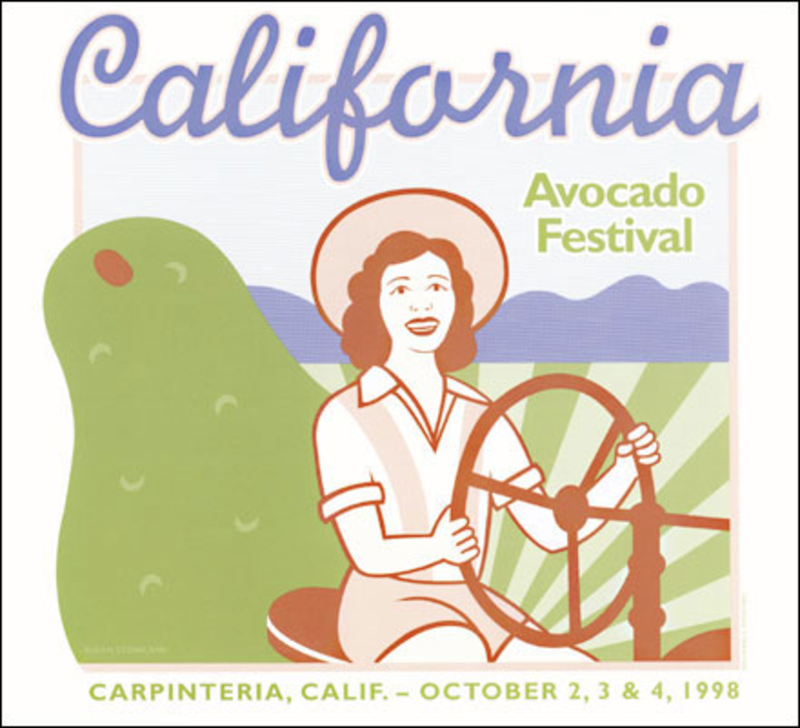 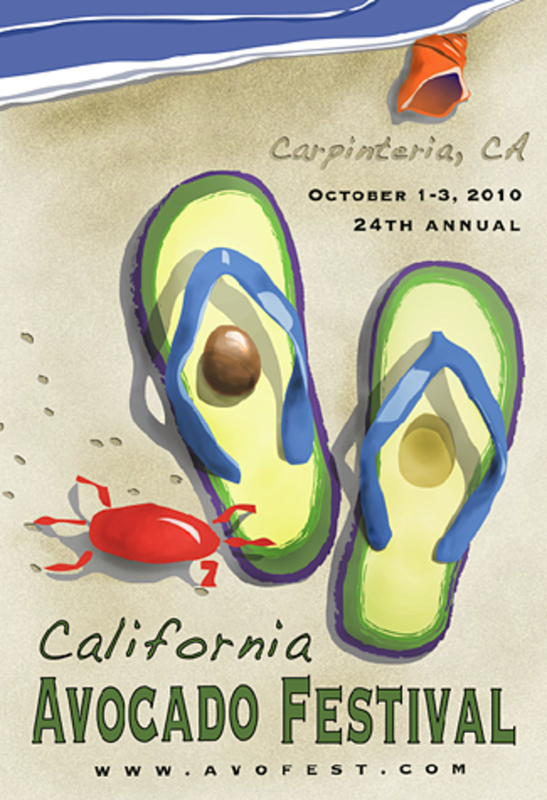 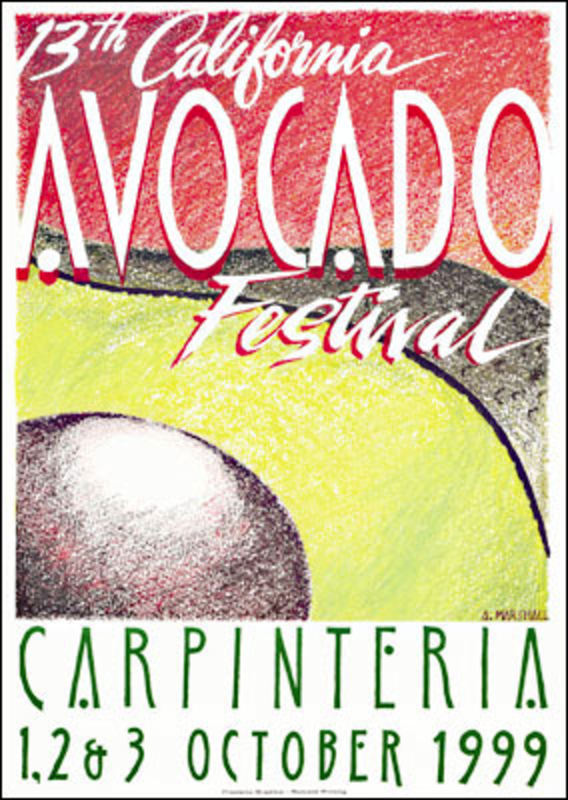 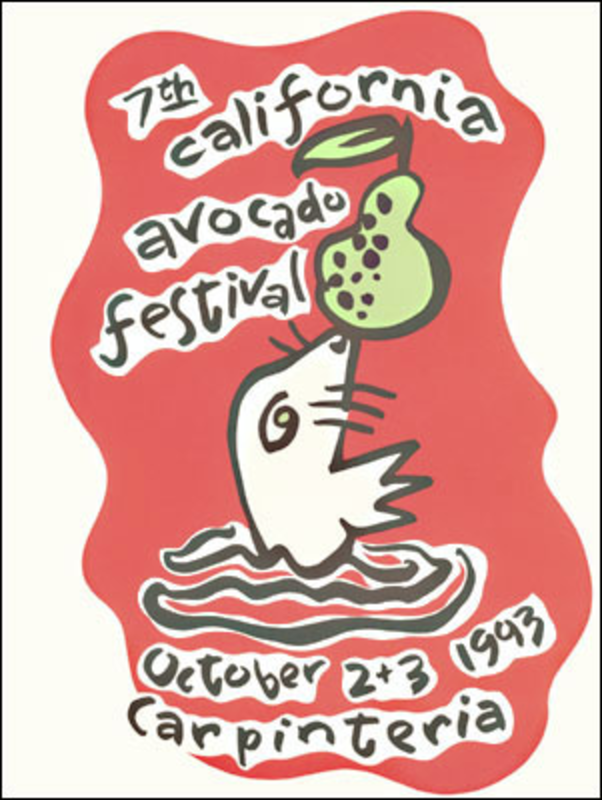 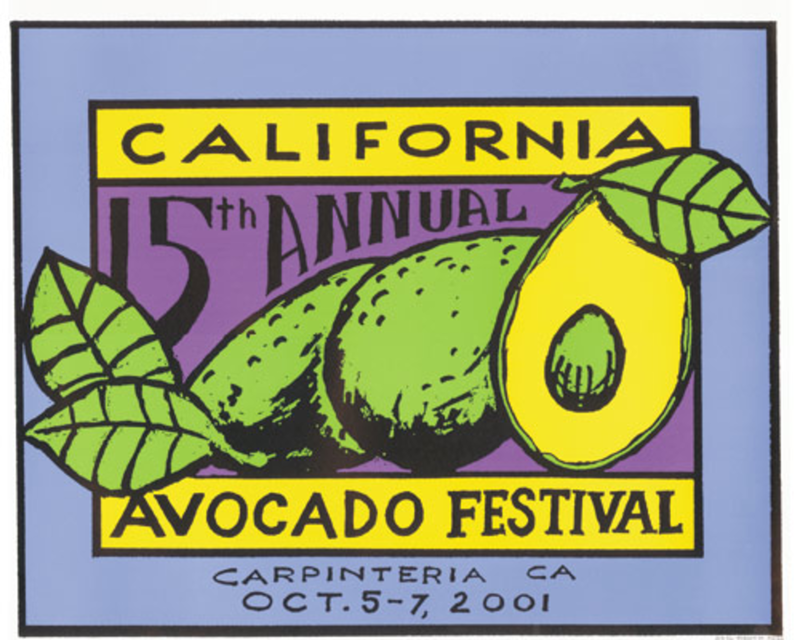 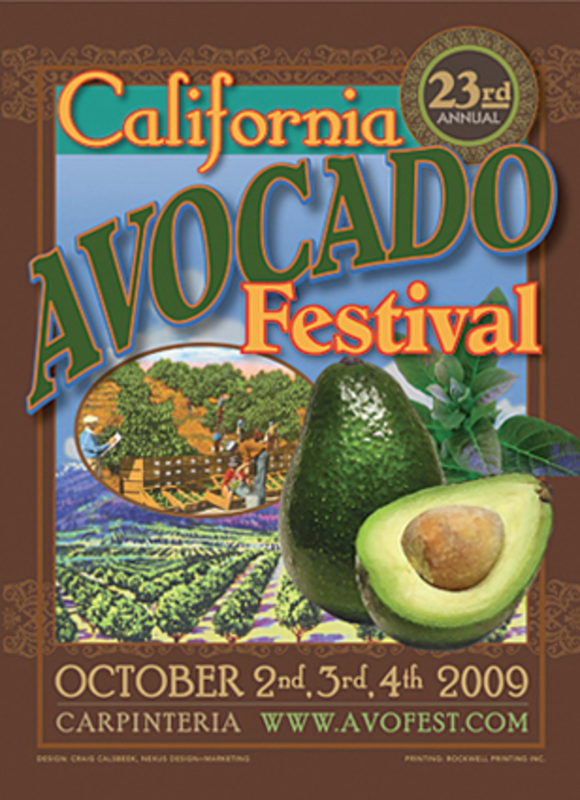 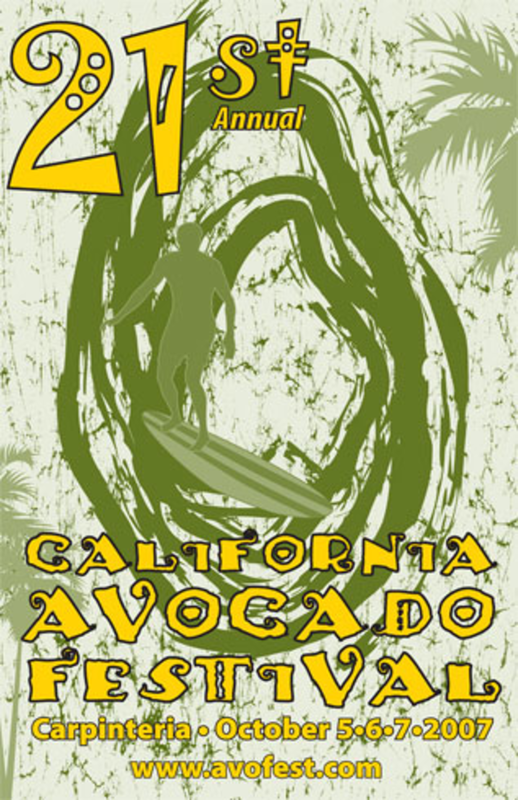 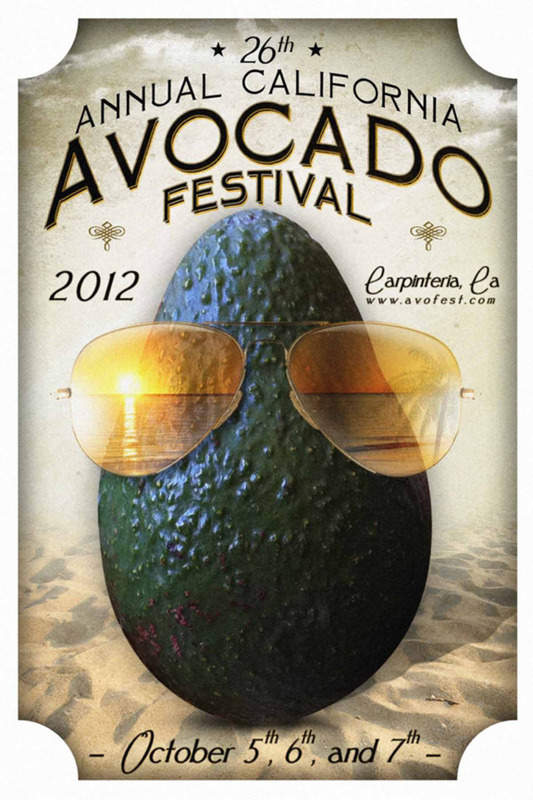 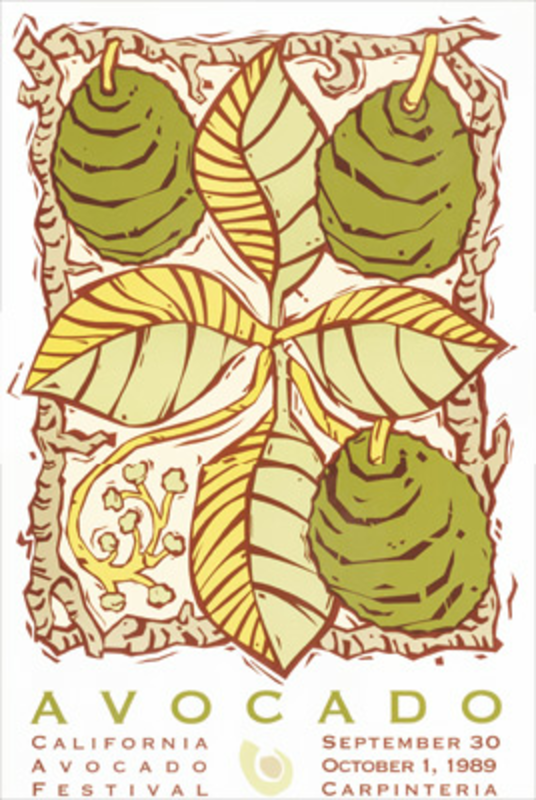 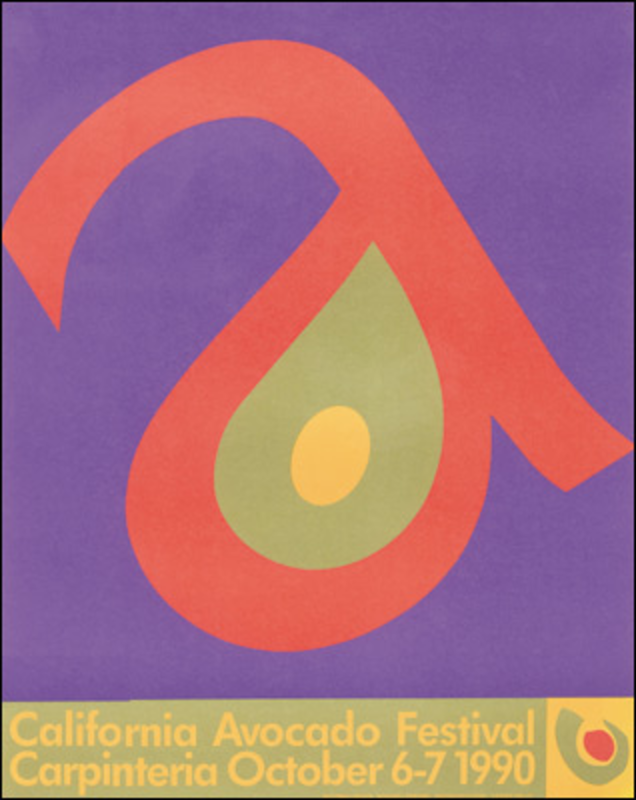 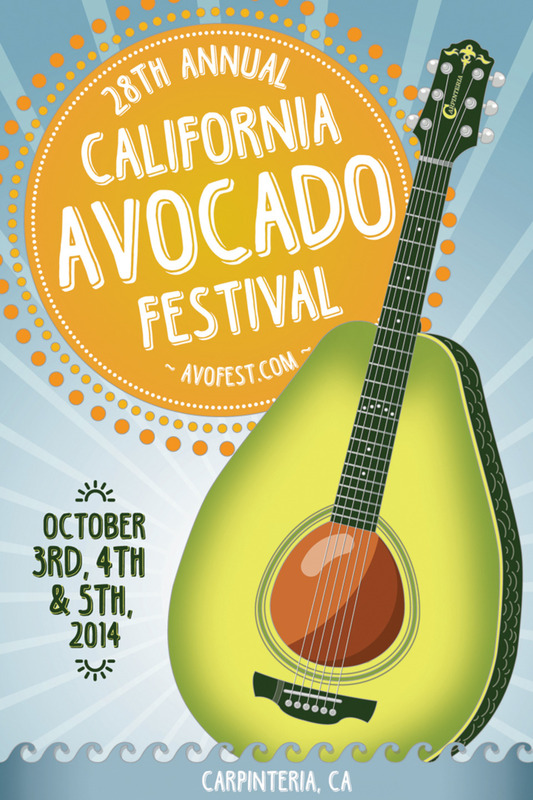 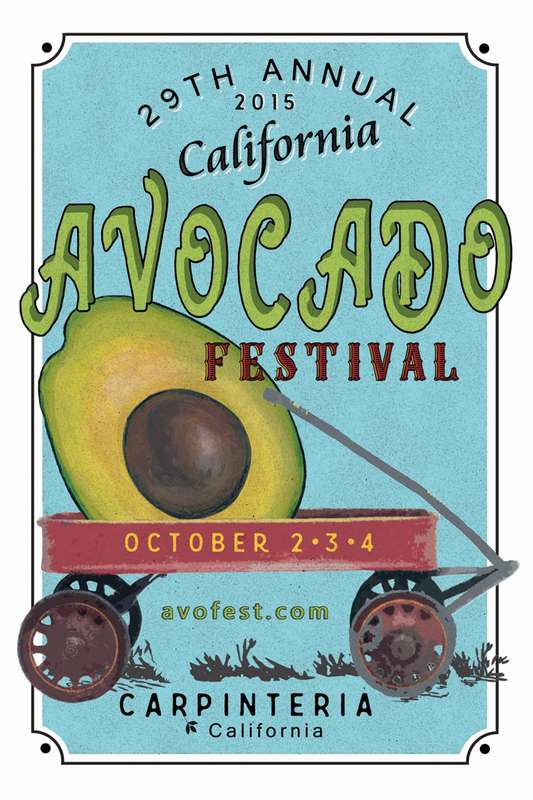 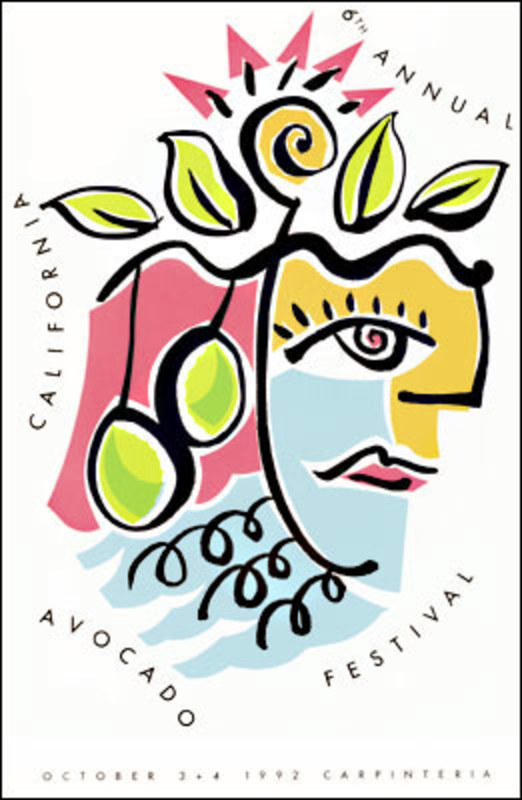 This year’s 32nd Annual California Avocado Festival poster, designed by Evamgelina Cervera, is a celebration of life in Carpinteria—the layered mountain-scape, the rolling ocean waves and the ever-present sun. 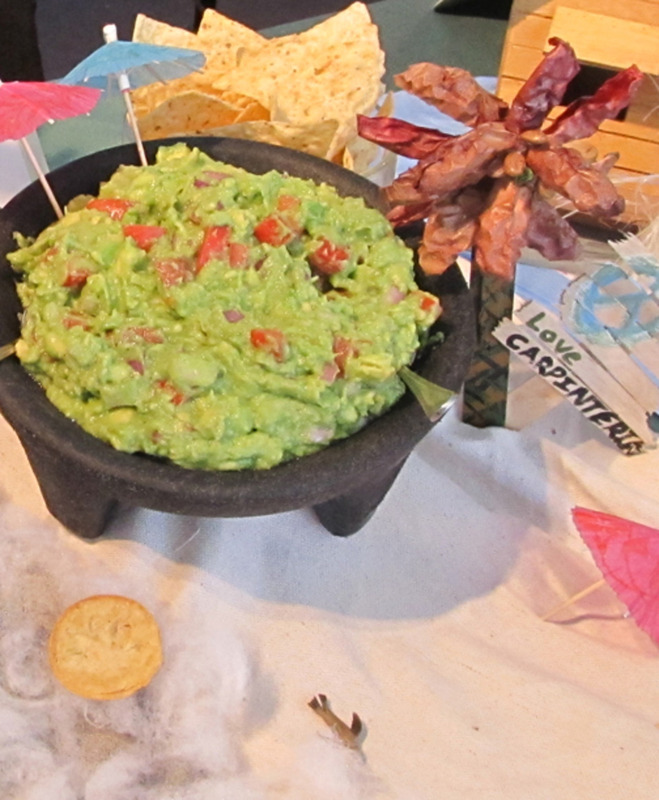 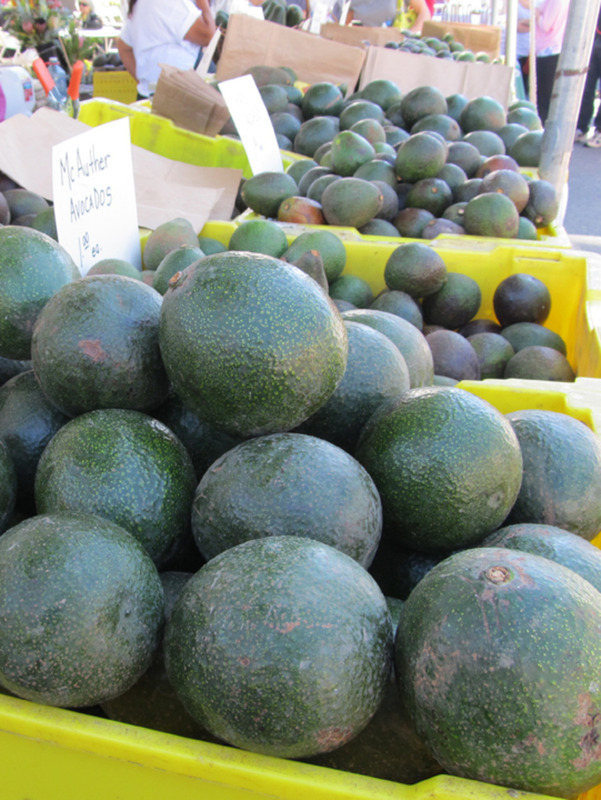 At the center of it all is the avocado. 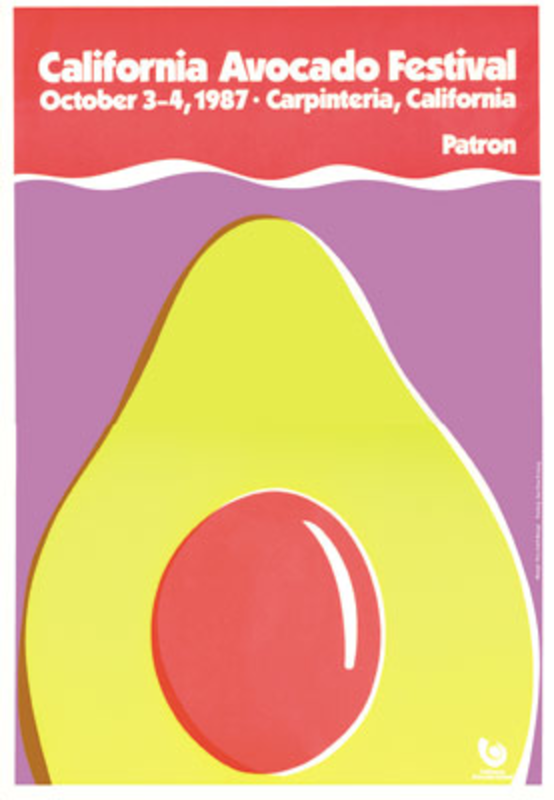 Posters are $15 including shipping/handling. 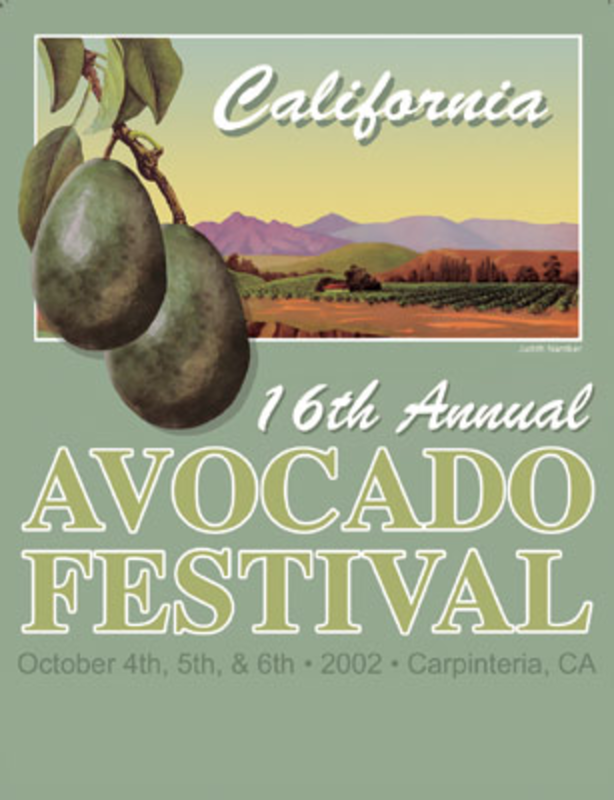 Be sure to state the year of the poster(s) you'd like to order and you're mailing address. 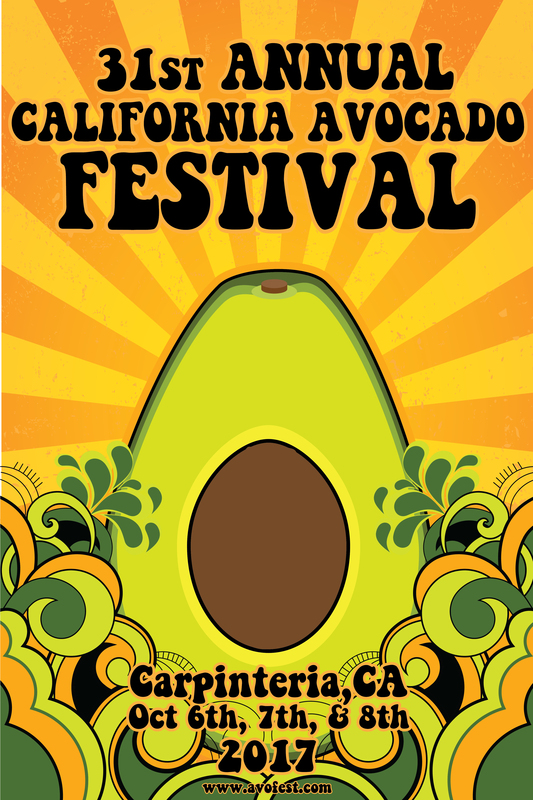 For more information feel free to send us an email!